Mercedes will top the GLC series with another AMG version: the Mercedes-AMG GLC 63 Coupe, complete with a V8 engine and up to 510 bhp under the hood. 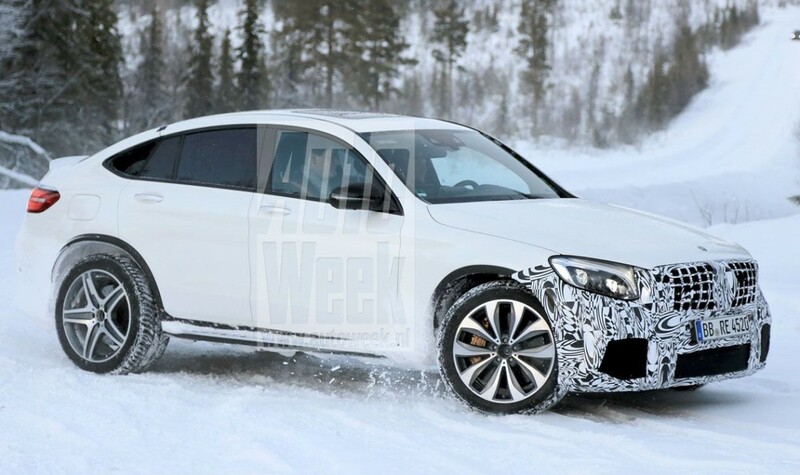 A camouflaged prototype has surfaced near the Arctic Circle and Autoweek.nl has published the first pics. The flagship of the GLC SUV series will be the V8 Mercedes-AMG GLC 63 Coupe. The 4.0-liter biturbo SUV is celebrating world championships in New York in 2017. The Coupe is quite a loner in its segment with no direct rival in terms of power from either Audi or BMW. At present, the Mercedes-AMG GLC GLC 43 with its 367 hp neatly stays in line with the BMW X4 M40i with 360 hp and the Audi SQ5 with 354 hp. In standard guise the AMG 63 will come with 476 hp and 650 Nm, in the S version it will up the ante with 510 hp and 700 Nm. Both V8 units are coupled with the new nine-speed automatic gearbox, the shift times of which are significantly reduced. The Mercedes-AMG GLC 63 Coupe should also remain significantly below the 4.9 seconds to 100 km / h of the GLC 43. The top SUV reaches a maximum speed electronically limited at 250 km/h. Compared to the 43 model, the Mercedes-AMG GLC 63 not only comes with more performance and more cylinders. The top model receives more aggressive front aprons with larger air intakes as well as modified exhaust tailpipes, a stronger braking system, larger light alloy wheels and an improved suspension. The interior of the Mercedes-AMG GLC 63 is also trimmed in sports. On board are a leather sports steering wheel, AMG plaques and entry boards, sports seats, AMG instruments as well as aluminum and carbon finish. 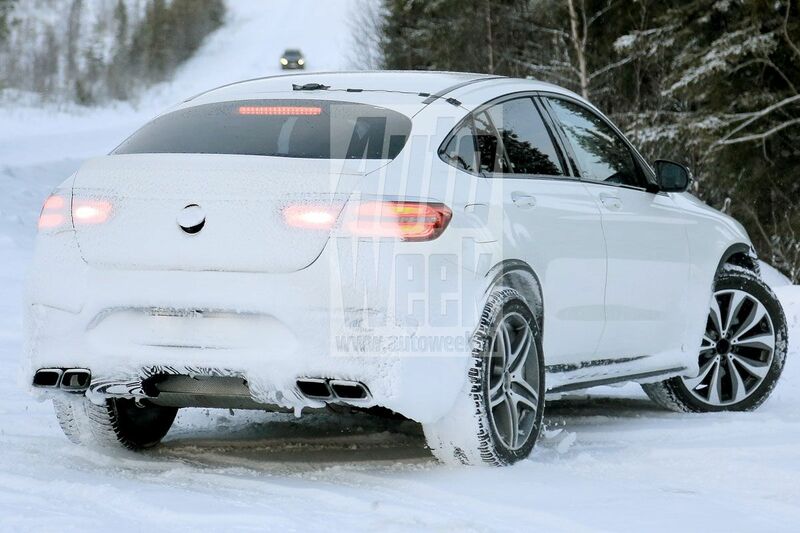 How will the 2020 Mercedes-Benz GLE Coupe look like?